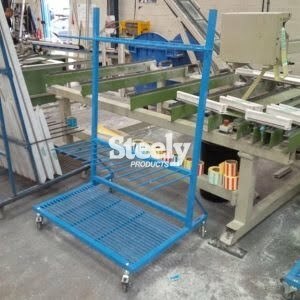 Some of the products available. 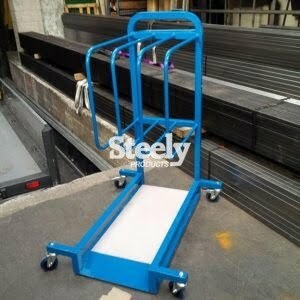 Especially designed for carrying glass, this trolley has an inclined back and rubber strips to help the load remain secure. 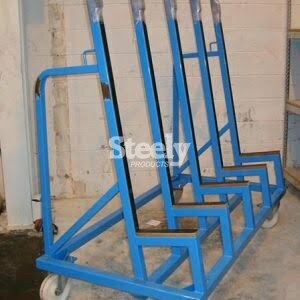 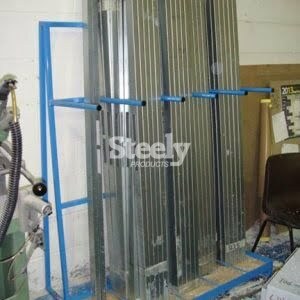 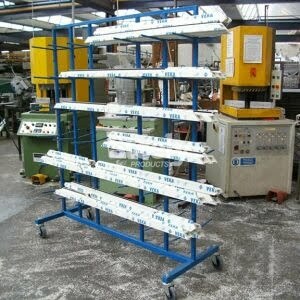 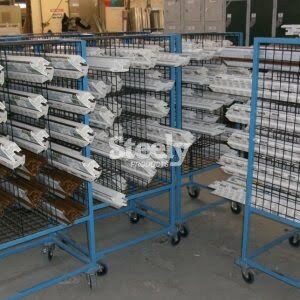 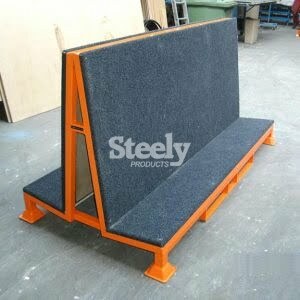 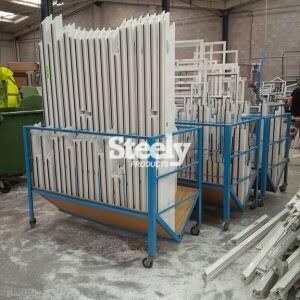 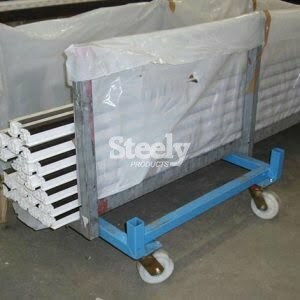 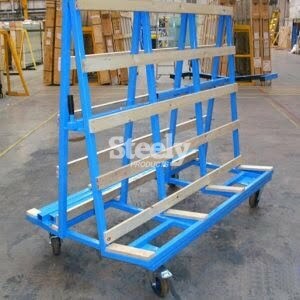 These static racks are strongly constructed and will safely store and organise your long lengths.